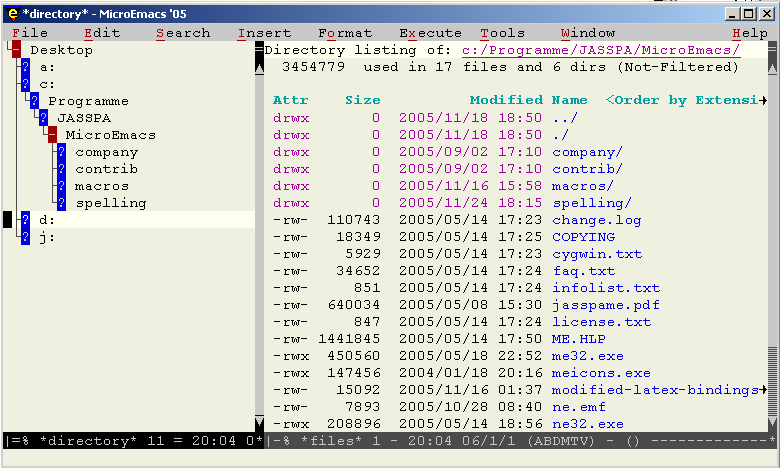 If you have to deal with UNIX or at least with programming, then you have to be comfortable with editing files, for which task you need a handy text editor. 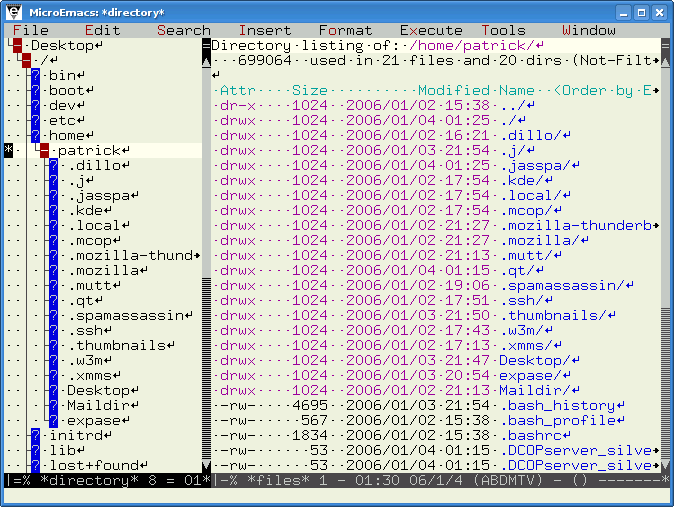 That was mainly my starting point when I came across MicroEmacs, which is the only editor that satisfies most of my needs. Small in size and rather fast! 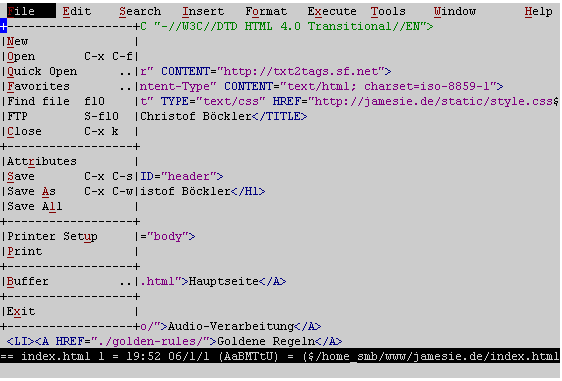 Unfortunately JASSPA's MicroEmacs lacks the ability to handle UTF-8 files that contain characters outside the ASCII subset of UTF-8 (in other words: only ASCII based files work). Although today this is an increasing drawback I can still live with it considering my system administration and LaTeX needs. 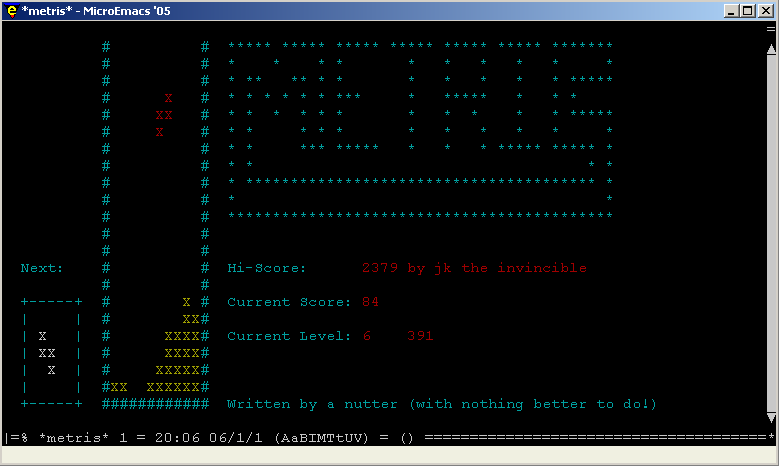 I wrote a refcard for MicroEmacs, because when I started working with XEmacs I found its refcard very usefull. where <dist> is either lenny, etch, hardy or dapper. You need the second line only if you want to build the packages yourself. 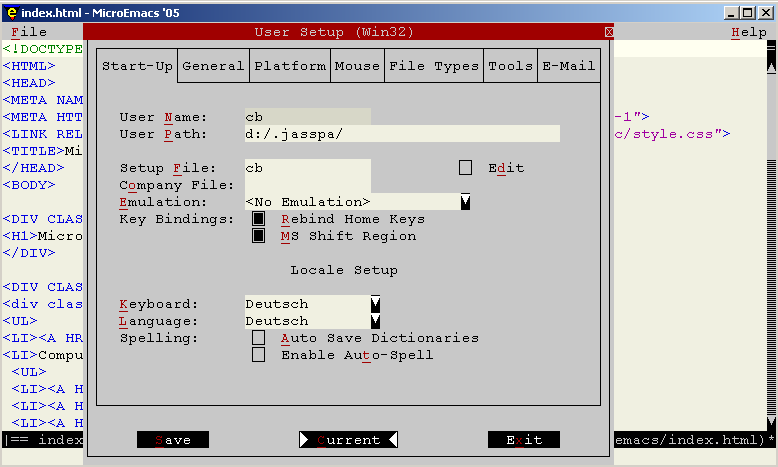 me-jasspa is the most common version including X support. 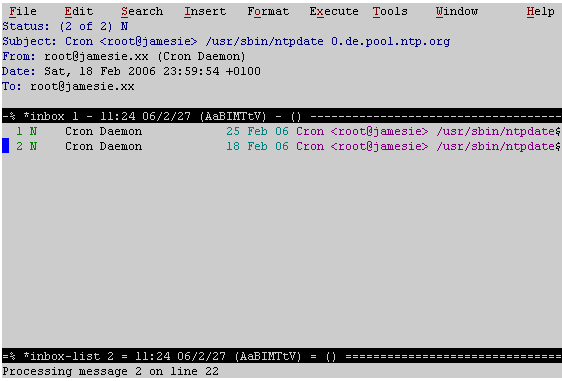 me-jasspa-nox is a version without X support. 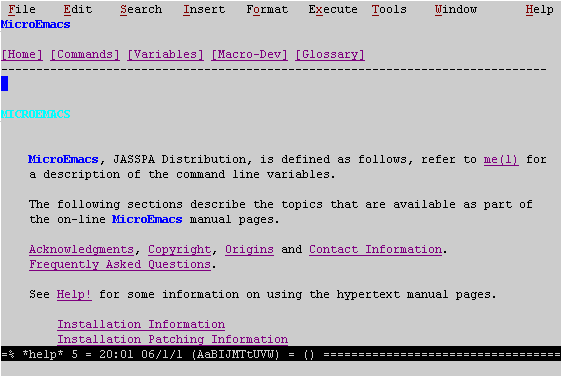 ne-jasspa contains only NanoEmacs (very small). 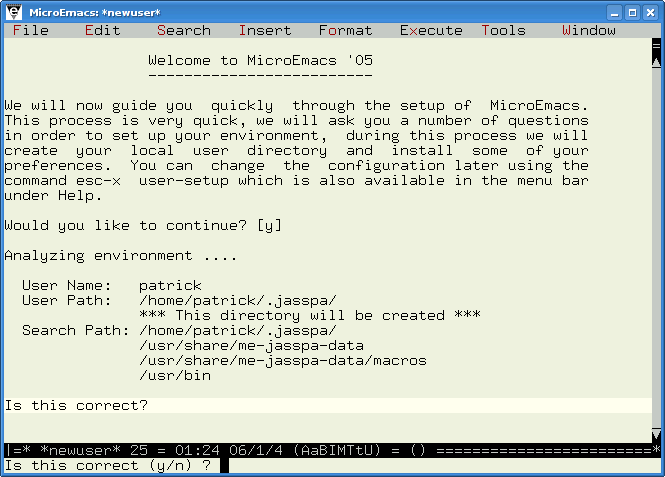 Thanks to Patrick Das Gupta for debianizing MicroEmacs and providing a template for these instructions. 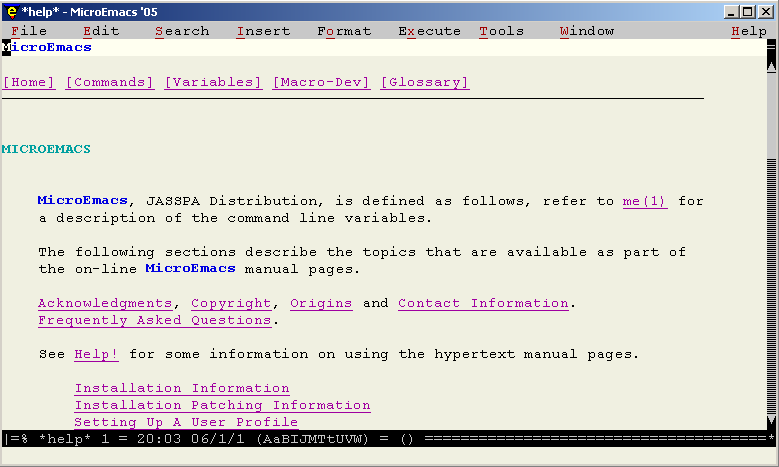 To ease LaTeX document creation with MicroEmacs I re-implemented a few features of AUCTeX. 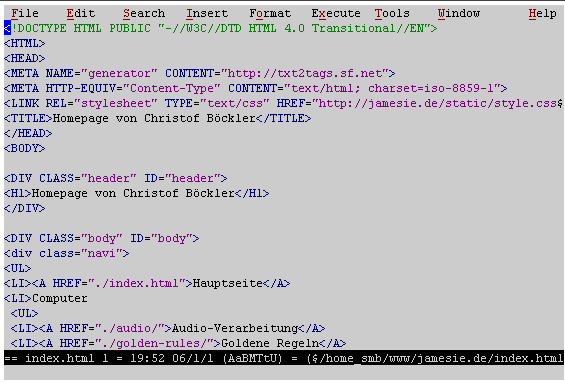 Those extensions can be found in mylatex.emf, that is executed while entering latex-mode if it is found in the personal macro directory (.e.g. $HOME/.jasspa). This file is licensed under the GNU GPL. 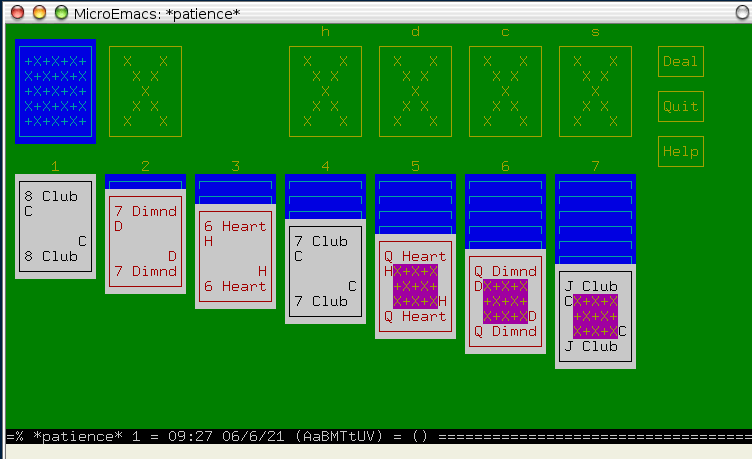 A decribtion of the functions and the corresponding shortcuts can be found in the file starting at line 50.